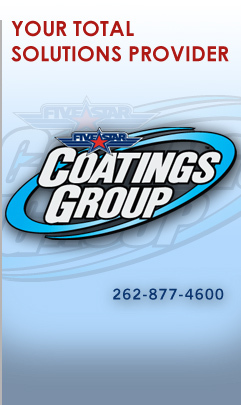 Five Star Coatings Group was born out of over 35 years experience in the coatings and coatings fabrication industry. We were founded to address the need for coatings that fulfill the stringent performance needs of the auto racing windshield market. As a result of NASCAR's demand for the highest quality available, Five Star Coatings Group has built their business extensively around providing outstanding quality that is unmatched in the industry. We guarantee satisfaction and continually strive to be the most dependable, customer driven company in the industry.